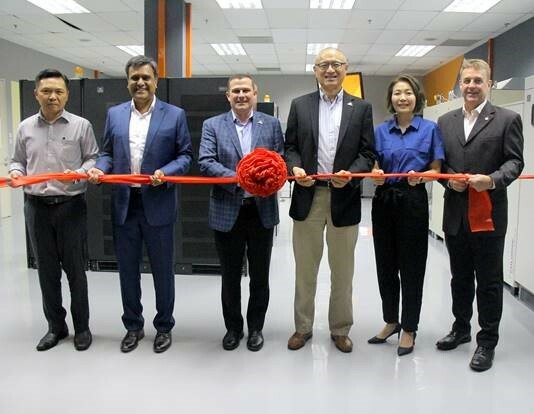 Vertiv has formally opened an Academy in Singapore, a modern training facility that aims to equip customers, partners and Vertiv engineers with the technical know-how to properly and effectively manage critical infrastructure. “With the speed at which technology is evolving, businesses must ensure that their IT infrastructure is able to adapt to new demands. With the comprehensive course offerings of the Vertiv Academy, customers and partners attending our trainings will develop the technical agility to allow them to respond to any business challenges,” said Chris Mandahl, vice president for service at Vertiv in Asia. This is the first Vertiv training facility in Southeast Asia and is located in New Tech Park in Singapore. In Asia, other Vertiv Academy locations are in Sydney, Australia and Shenzhen, China. Globally, the Vertiv Academy also has presence in the U.S. (Houston), India, Central and Latin America (Brazil and Chile), as well as in Europe (United Kingdom, Italy, Spain, Germany, Poland, Russia, Turkey and Dubai, U.A.E.). Courses at the Vertiv Academy are specifically tailored for customers and partners who have purchased Vertiv solutions. Classes are a mix of both classroom time and practical exercises, as well as a comprehensive safety overview. Courses are also customizable depending on the learning requirements. In addition, Vertiv engineers also undergo regular training at the Academy to enhance their technical skills and best respond to customer requirements. “The success of your business relies largely on your people. Through trainings at the Vertiv Academy, our customers can be assured that their technical personnel and operators are well-equipped to manage their IT infrastructure to support business demands,” said Mandahl. To learn more about the Vertiv Academy and its course offerings, visit www.VertivCo.com/AP-Academy.